Internet is now a virtual place where we sometimes become someone different. 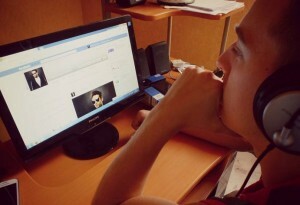 After mentioning the Internet and websites where we sign up for personal profiles, the first website which came to mind was www.facebook.com. The website is perfectly known to all of us. We all have posted photos, shared links and private information. Although, there are some aspects which make us think again about what Facebook really is, and do we know what things should be left private so that we don’t regret our posts later. So what are 25 things which shouldn’t be posted that frequently? Parents, especially young parents, love to boast about their child’s achievements and every interesting event in their life. We love your kids, but do we have to know about every changed diaper, new word or broken toy? You got a job? Congratulations! You’ re not the only one! We have one request: if you want advertise yourself or a job, create a facebook group/page. If you want loose your friends, continue spamming. Have you ever thought that there are people who want to know where you are and what are you doing? Why your parents don’t sleep well at night? It’s because they are afraid and they are afraid for a reason. People with bad intentions – if they are interested in you – they’ll find you in a couple of mouse clicks. Be careful! 50 same looking photos which show how you look after hairdresser don’t give a charm to your hair. You bought or got as a present a new car? We’re really not interested in every detail. You laid down in a bath and decided that your legs look gorgeous in a photo? Just do not drop your phone in water because then you won’t be able to take a photo of its death. A) Instead of sitting close and whispering lovely words to each other, they post love and intimate details in the public space (Post on walls, comments photos…). B) Leave personal details such as religion, business related with family, friends, health (KITY – Keep it to Yourself). You already have the same life style, have inside jokes or secrets. Isn’t it enough for you? Sharing private profile won’t solve this dilemma. There is no reason to do that. It’s really very important for your 400 friends to know that you just did 20 crunches, drank juice, then you did 10 more crunches, for 15 min you went bicycling, in the evening you did yoga, and in November you will run in a marathon. It’s really very “important” for us. We all know how cocktails, apple pies or barbecue look like. There is no need to show us again and again. Several times I got a message which ended like that: If you don’t sent this message in 25 minutes, your lovely kitten will be hit, and you will have 7 years of bad luck! How terrible! Sad, I don’t have a kitty. Maybe if I have, I would believe. A) “It’s raining outside.” Yes. We can see that because every house has windows. Why you have to remind it with photos? B) “September 1st is near.” We have a calendar; we just don’t want to remember it because it’s summer time. One day in a relationship, next day single, other day engaged. Like that it becomes impossible to know who is single, engaged or split. What is point of that? If you change status, that won’t solve your problems. Let’s say that your old friend wants to find you. He remembers your surname and starts searching you, but it’s impossible because in Facebook you exists with a different name. Of course it’s not banded, but what’s the point? That was always popular between persons who don’t feel beautiful or persons who in reality don’t get attention; also, it’s popular between young girls who want to live older girl’s life. But have you ever thought that you will be with the mask off? Also you won’t find friends, boyfriend or girlfriend just because person in a photo isn’t you. Be yourself. You never know who you’re chatting with, so it’s dangerous. Maybe a maniac is asking to go on a date or a person who wants more. Take care of yourself, because you never know what people are interested in you. “I wish I wouldn’t be as pretty as I am so that I don’t get so many compliments.” Maybe just be happy for that and don’t give too much attention for this. 35 photos in which you hold a glass of alcohol and smoke a cigarette is not very good. By the way, have you ever thought that you are an authority for some people (brother, sister, neighbor kid, friend’s brother). After see these photos they unconsciously will star to think it’s normal and star to behave like you. Do you really want that? We feel more powerful in virtual space than in reality. Have you thought that insulting in a public space and having support for this, in a real life you would not have? By the way, it would be really unpleasant to meet insulted person and to talk with him eye to eye. So, if you want to say something, say it private. Sometimes bad words can hurt you. Beautiful girls’ bodies, fit guys and their photos always catch an eye. However, have you thought that that should be left for you boyfriend/girlfriend, but not for hundreds your friends. Yes, we can see that you’re beautiful. You don’t have to show more and later to cry because guys think you are immoral and your girlfriend doesn’t trust. No, we don’t forbid you, we just advise you to save your private life, because Facebook profile can be stolen like all others. Nowadays to know a password isn’t hard. Photo of a beautiful sunset and a comment under it is saying: “This is what I see now, if you were here, you also could see it.” This person either wants that tagged people would be there, or hates them. You want attention or to get to know people? Go to a club, town, library, gym. To a places where are real people, a place where you can see what person really is. However, if you like blind marriage suggestions from forage people you never see or you’re not afraid that you can be harmed by them it’s up to you. Yes, people often feel nervous because of that. It’s understandable that you want to pass a level and in order to that you have to ask your friends for a help, but if they told you once “don’t send me request” maybe you shouldn’t? Yes, we love songs with meaningful lyrics and we listen to them but when they are taken from a context it sounds ridiculous. If you’re feeling sad you don’t have to listen for sad song or post lyrics. Not all people care about you and some even won’t understand, some even will think you’re crazy. If you are a fan of One Direction, Linkin Park, Fred Mercury or someone else it’s good because we all have people we admire. However, when person fanatically shows their obsession on Facebook it looks sad. Darlings, One Direction won’t say thank you, and Fred Mercury won’t rise from the dead. Don’t get involve into pointless discussions or use your nerves. If you love, love, listen, hang posters, go to concerts and share feeling with other fans, but don’t try to make others feel what you feel.